The handmade industrial pour over coffee maker is designed to make your brewing like a science experiment. Like the idea? Let’s have a look. 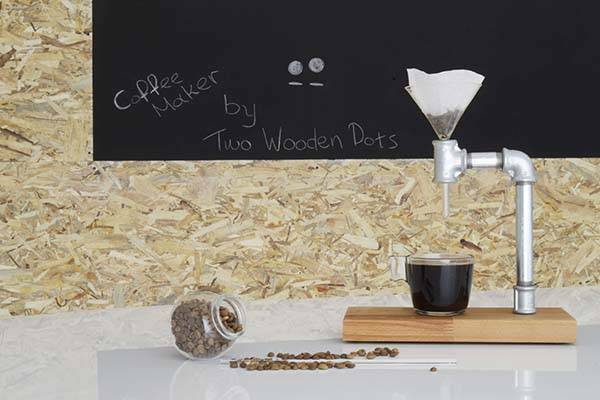 This is a uniquely designed manual coffee maker handcrafted by TwoWoodenDots, a small handicraft studio from Greece. The coffee brewer measures 28 x 11.5 x 25.5cm. As we can see from the images, it shows off a minimalistic, industry-style appearance design defined by the combination of iron pipes, glass funnel and wooden base. Meanwhile, the beech wood base also adds some one-of-a-kind natural aesthetics to the coffee maker, and it’s weight enough to keep the brewer stably standing on your table. 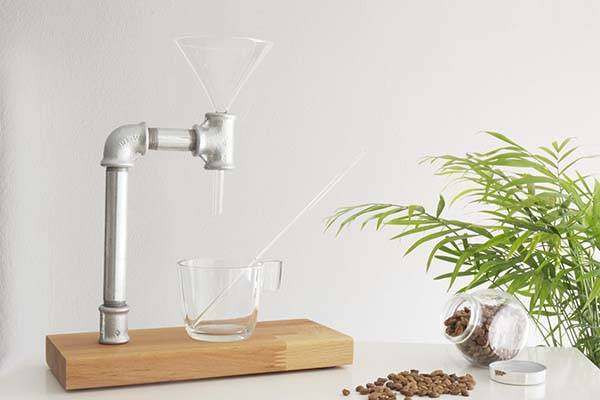 The iron pipes are designed to hold the custom glass funnel that measures 10cm long, and the funnel works with small coffee filters in order to brew a perfect cup of pour over coffee. With an included glass stirrer measuring 28cm long, you can conveniently make some fine tuning during brewing according to your preference. 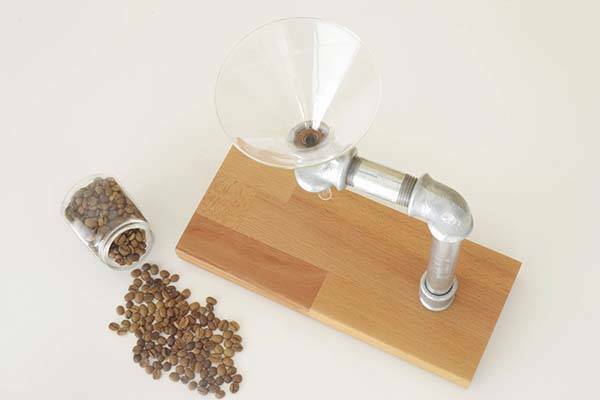 The handmade industrial pour over coffee maker is priced at $80.25 USD. If you’re interested, jump to Etsy for its more details.